Bad news for the environment in other locales can be good news for San Diego. 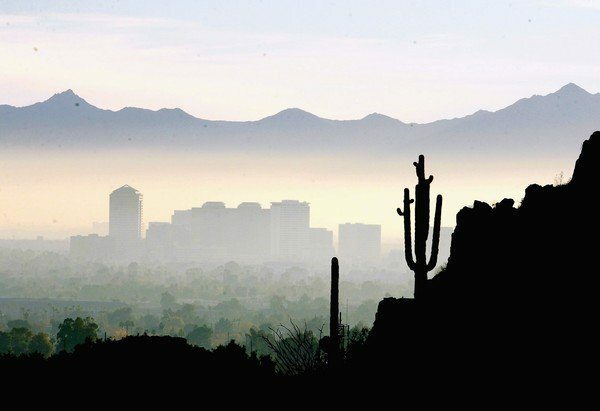 Today, two offerings by the media – one on how hot and dry the City of Phoenix is getting due to climate change, and the second about the loss of Monarch butterflies in Mexico – is good news for us. In Phoenix, the convergence of heat, drought and violent winds is creating an ever-more-worrisome situation. … [High] temperatures, however, are child’s play in Phoenix, where readings commonly exceed 100 degrees for more than 100 days a year. In 2011, the city set a record for days over 110. There were 33 of them. … It goes without saying that Phoenix’s desert setting is hot by nature, but humans have made it hotter. The city is a masonry world, with asphalt and concrete everywhere. The hard, heavy materials absorb daytime heat more efficiently than the naked land, and then give it back more slowly after the sun goes down, preventing the cool of the desert night from providing much relief. Sixty years ago, nighttime lows never crept above 90. Today such temperatures are a commonplace, and the vigil has begun for the first night that doesn’t dip below 100. And heat is a tricky adversary. It stresses everything, including electrical equipment. Transformers, when they get too hot, can fail, and thermoelectric generating becomes less efficient. This is excellent news for San Diego. It means that the city that beat us out in population years ago will now see an exodus of its population out to the coast and to San Diego. This will mean big savings for CONVIS – our tourism promoter – and for SANDAG – which has to hire outside firms to finance PR for our area. We can now save millions as we won’t have to erect billboards extolling the virtues of our climate and space. Plus, we can get back at Phoenix for taking our lofty place in population totals for the nation’s cities. 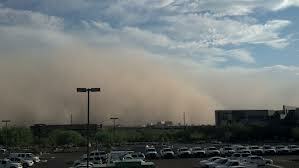 The article goes on and discusses the “violent dust storms of a sort we can’t yet imagine” bringing Phoenix “visibility to zero and life to a standstill.” Not to discount the problem of water, either. San Diego doesn’t have dust storms and our water situation is fine. The other news that is bad environmentally elsewhere that is good news for us, is this, signified by its headline: Mexico monarch butterfly population smallest in years, study says. 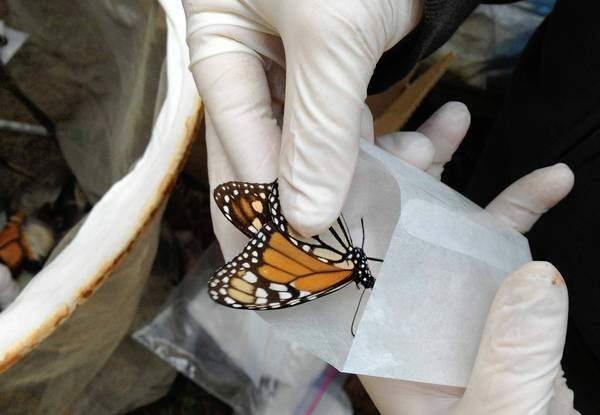 Scientists who take the annual measure of Mexican forestland famously occupied by migrating monarch butterflies said Wednesday that the butterfly population is the smallest they have seen in two decades. … the annual butterfly exhibit at the San Diego Zoo Safari Park, with its Butterfly Jungle opening to the public on Saturday. In the wild, numerous butterfly species, including the migrating monarchs of Mexico, are taking a beating from modernity: loss of habitat, climate change, herbicide poisoning, and the prevalence of wood-burning stoves requiring trees for fuel. If patrons to the Safari Park – nee Wild Animal Park – come away supporting ecological efforts to protect butterflies on their native turf, so much the better, according to zoo officials. What did I tell you? Just think of the jobs that more butterfly exhibits can bring with all those Eco-tourism dollars. If you can’t see a Monarch in the wild, just drop by the Butterfly Jungle. Perhaps Safari Park will consider making the exhibit year-long. With all the savings by CONVIS as they no longer have to advertise our beautiful area in Phoenix (or Tucson for that matter), and with all the new butterfly jobs coming, San Diego City and County is due to reap major dough as it’s true that bad news environmentally in Arizona and Mexico is good news for us. In regard to monarch butterflies – planting milkweed is an easy way for anyone to help provide a habitat for the butterflies to reproduce. Cheap, native, and easy to grow it’s a sure winner for nearly anywhere in San Diego County. — trading KUSI’s climate-change denier John Coleman to Phoenix for another big bimbo meteorologist like Dagmar. Are you listening Hoteliers, ConVis, Convention Center Coordinating Committee, Howard Johnson, Todd Gloria? You had me in stitches by time of the “flutterby” before Charges games. Anyone watching a daily weather forecast of the country as a whole has already seen the best advertisement for moving to San Diego. While other parts of the country were deluged with snow storms, 70 mph winds and sub zsro temparatures leading to power outages with every weekly snowstorm, San Diego was sitting here as pretty as you please with 60 and 70 degree temperatures and a smattering of rain. No violent winds. no 12 inches of rain in 12 hours. We seem to be living in a global warming Brigaddoon, a fortunate pocket where the floods and hurricanes don’t bother us. However, a whole bunch of power poles keeled over suddenly in El Cajon yesterday leading to a power outage for several blocks. It’s those old rotten wooden poles that the power company is supposed to replace on a timely schedule but doesn’t because reasonabnle maintenance would decrease profits. I guess the old power pole non-replacement scam applies to San Diego also.